Everyone who has been following Olympic Games in London 2012 or Rio 2016 knows that the person with the largest number of medals of all time is Michael Phelps, but do you know who is the second and third? As you can see in the following table, the second person (for summer Olympic games) is Larisa Latynina who won 9 gold medals for Soviet Union between 1956 and 1964 and the third is Finnish runner Paavo Nurmi, also with 9 gold medals from 1920s. Find out where each athlete competed — To do this, click on the "options" button. This analyzes the visualization and automatically lets you change some parameters. In the "Group by athlete" table, you can add aggregated attributes for the table. Add "concatenate values of Games" and drop "concatenate values of Teams". Who is the least lucky athlete — Counting gold medals is easy, but who has the largest number of bronze and silver medals? To find out, remove all items from "Sort the data" in "options" and specify your own criteria. Choose "by Bronze descending" to find the person with most bronze medals! Look at medals from London 2012 only — You can find this in an alternative version of the visualization, but to do this on your own, click on "source" and change the second line from olympics.data to olympics. 'by game'. 'London (2012)'.data. This filters the data to only medals from London 2012. As you type olympics., the editor will let you specify other filters too. You can, for example, look at specific teams rather than specific games. How has the geographical distribution of medals in Olympic games changed over the last century? In the first Olympic games in 1896, medals were awarded to 11 teams and all were either from Europe or from the United States. The number of teams with medals started growing rapidly after 1980 from 36 teams to 85 teams in 2012. The visualization tracks the number of medals awarded to different countries over time. As the visualization shows, the number of different countries winning medals in the Olympic games started growing rapidly after 1980. You can see this visualized in a separate chart. The visualization above is also easily adapted to show medals in different disciplines. To see the timeline for a specific discipline, you can go to "options" and select disciplines you want to include in the first control. This lets you choose one or more disciplines. This will make the bubbles smaller - you can make them bigger by changing the size function in the code (change 0.5 to a bigger number between 0.5 and 2.0). You can also edit the code to show not just specific disciplines, but individual events. For example, to see medals in long-distance running. To do this, you need to change 'by disciplines'.then on the second line to 'by sport' and then choose the sports you want to visualize. You can also use this to see only women Olympic medalists by using olympics. 'by gender'.Women.data. This is a variation on the Olympic Medals Timeline visualization, showing the countries winning Olympic medal in long-distance running (marathon, 10k or 5km, men or women). You can see the dominance of the Flying Finns in 1920s and 1930s. Starting with 1960s, independent African countries start competing in Olympic games and Ethiopian and Kenyan athletes become dominant winners in 1980s and even more so in 1990s. Are you interested in other sports instead? This visualization is configured to let you easily pick other sports in athletics. Just click on "options" and pick short-distance running sports instead! If you want to experiment more, you can change 'by sports'.Athletics in the source code to another category and then choose whatever sports you want to see. For example, table tennis! In the early days of Olympic games, much of the world was a part of European colonies and the number of teams winning Olympic medals reflects this. Before the First World War, the maximal number of teams with a medal was 20. In the interwar period, the number grew to 32. Olympic games started becoming more diverse after the Second World War and especially after the end of colonialism. In London 2012, the number of teams winning a medal grew to 85. World Wars — As you can see, no medals were awarded in 1916, 1940 and 1944. 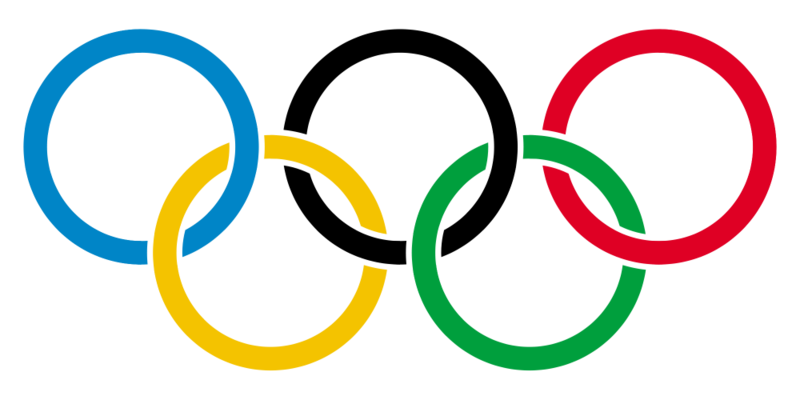 During the first and second world war, the Olympic games were cancelled. Olympic Boycotts — The United States did not get any medals in 1980 because of the Moscow Olympic games boycott and Soviet Union did not get any medals in 1984 because of the L.A. Olympic games boycott. To build the visualization (see the "source"), we had to explicitly list the countries to show and also add their names as labels for the chart. This could be a bit easier, but you can still quite easily modify the visualization to see different aspects of the history. Below, you can see one modification which uses the same method to visualize the countries dominating long distance runs. Alternatively, you can choose to compare different countries by modifying the list of countries written as [ .. ]. For example, compare medals by the teams of German, West Germany and East Germany as separate entities! also add other disciplines to the list! To find out which countries dominate the Olympic games in specific sports, you'll first need to go to our Medals per Team Table. When you click "options", you can easily add or remove disciplines or sports. Then you can modify the visualization here to include different sports and different countries. Try to recreate some of the New York Times Visualizations and share your results by clicking the "share" button! This visualization creates a simple table showing the countries sorted by the total number of medals. However, it is written in a way that makes it easy to adapt it to sort the countries by medals in a specific discipline. USA has the most medals overall, but what if you instead look at road and track cycling? Or perhaps Circket, which was at Olympic games only in 1900 with exactly one match? If you want to adapt the table to show different disciplines, you can just use the "options" user interface. The first control lets you choose one or more disciplines that you are interested in. You can also filter the table in a number of different ways, but for that you'll need to modify the source code on the "source" tab. For example, if you want to see the results for specific Olympic games, you can change the second line of the source code to filter data by games. For London 2012 games, the code would be olympics. 'by games'. 'London (2012)'.then.data. Once you do this, new option in the "options" tab appears letting you choose another games. Back in 2012, The Guardian put together an amazing table treating Michael Phelps as a country. We can do the same and count the total number of medals per country and total number of medals for Michael Phelps. Sorted by the number of gold medals, Michael Phelps beats for example Belarus and Kazakhstan. And after Rio 2016, probably also Zimbabwe, Nigeria and a few more countries! This visualization involves a bit more logic, so it is not as easy to modify, but you can easily change it to look at another athlete or even add multiple athletes. When you look at "options", you will see a number of parameters for both of the parts of the calculation, but the very first one lets you select a different athlete. When you do that, you'll also need to change what range of countries you are selecting. In the code, look for skip(47).take(10). This skips the first 47 countries (who have way more medals than Michael Phelps) and takes the next 10, so that we get a nice chart. You'll need to guess the right number for your favorite athlete. Aside from showing one athlete, you can also modify the visualization to include multiple athletes. For example, see the visualization If Phelps and Latynina were Countries, which shows a similar chart with the two top athletes when sorted by gold medals. Until Rio 2016, Michael Phelps got 22 medals including 18 gold ones. This makes you wonder if he can remember all the medals he got. To make his life easier, we can easily generate a table with all the medals. To do this, we use 'by athlete' and filter all the Olympic medals to look only at Michael Phelps and then we display the result in a table. If you want to change the athlete, you can modify the source code and type . after 'by athlete' on the second line. You can also do the same in "options" by picking a country and then choosing an athlete. For a more complicated modification, you can change the code to use grouping (similarly to the visualizations counting medals per athlete) to find out that Michael Phelps medals from 8 different disciplines, 3 of them being relay events and the remaining 5 being individual. This can by done by using `'group data'. 'by Event' after getting the data. The visualization Medals by Event and Games shows the result. Another way of looking at the data is to group it by the different games. Michael Phelps competed in 3 different games (excluding Rio 2016) and got 8 medals in Athens 2004, 8 medals in Beijing 2008 and 6 medals in London 2012. How many medals will he get in Rio 2016? We'll update the visualization when we know! To look at some of the other athletes, you can easily adapt the visualization and look, for example, at the 6 different Olympic games of Aldar Garevich, who is a Hungarian fencer, German kayaker Birgit Fischer, Romanian rower Elisabeta Lipa and German show jumping rider Hans Gunter Winkler. The ultimate goal of The Gamma project is to make data-driven articles such as the ones presented on this page fully open and reproducible. This means that they should contain all the code needed to obtain the data from the original source. The current version is not quite there yet - it focuses on letting readers reproduce all the computations that were done when building visualizations and also to create and share custom perspectives on the data. However, you can still get the raw data in a CSV format from the project GitHub. This was obtained by combining data from The Guardian, which has a fantastic data set of medals until 2008 and adding results from 2012 by scraping data from the BBC. If you are interested, you can find the F# source code here (the file also tries to get data from olympic.org, but ironically, this is not nearly as complete as the Guardian table...). When you run any visualization on this site, it accesses data live from a simple REST service that exposes the raw data and a more sophisticated REST service that implements the grouping operations. The services follow the protocol described here and can be also called from F# via the REST provider.